For the past few years, American Express has periodically raised the welcome bonuses on its personal and business OPEN Starwood Preferred Guest credit cards from the usual 25,000 points to 30,000 points. These increased bonuses usually appear at the end of summer for about a month; however, it looks like they’re coming back a little early this year. This comes on the heels of Amex lowering the minimum spending requirement on the consumer version of the card from $5,000 in 6 months to just $3,000 within 3 months of account opening, which is more in line with competing cards. Best of all, it looks like Amex will keep that same lower spending requirement even for the larger welcome bonus, though the spending requirement on the business version is $5,000 within the first 3 months. 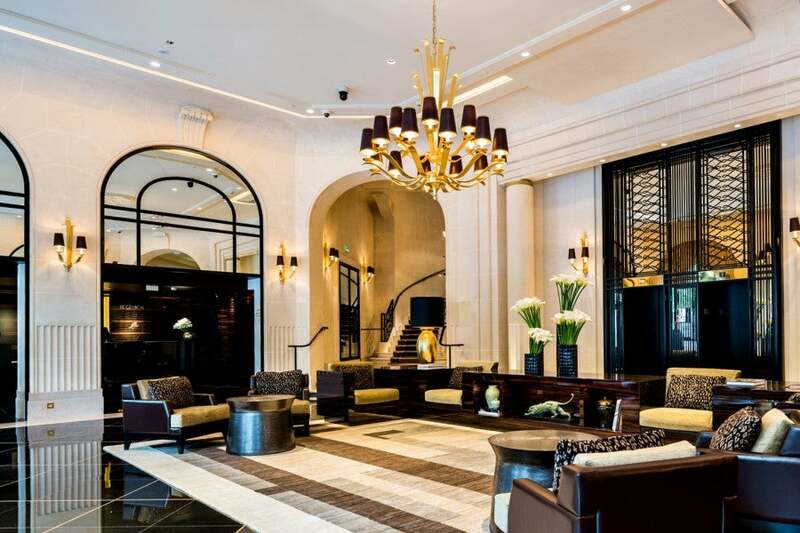 Starwood has some fantastic properties, including the Prince de Galles in Paris, where I stayed earlier this year. While an extra 5,000 points may not seem like a monumental increase, I value Starpoints at 2.4 cents apiece, so those 5,000 extra points are like an extra $120 in value – a nice little bump considering the $95 annual fee is waived for the first year on both cards. In an era where we’ve seen devaluation after devaluation from the likes of Hilton, Club Carlson and even Hyatt, Starwood remains a strong program with a great portfolio of hotels and decent redemption values, including cash & points rates, and some competitive promos like the current targeted one offering up to 7,500 bonus points for stays. You can transfer Starpoints to over 30 airline partners. Apart from hotel redemptions, one of the most valuable aspects of the Starwood Preferred Guest program is that it partners with over 30 airlines, so you can transfer your Starpoints directly to your frequent flyer accounts. Plus, you receive a 5,000-mile bonus when you transfer 20,000 Starpoints, so transferring 20,000 Starpoints to American Airlines or Delta (for example) would net you 25,000 AAdvantage miles or SkyMiles. Though not mentioned in the terms above, one of the other valuable benefits offered by both Starwood Amex cards is the that you automatically get elite credit for 2 stays/5 nights each year you’re a cardmember. That’s 20% of the way to Gold status. Furthermore, if you spend $30,000 on your card within a calendar year, you automatically get SPG Gold status outright! SPG Gold benefits include earning an extra point per $1 on Starwood purchases, 4pm late checkout, enhanced guest rooms and a choice of welcome amenity (options include bonus Starpoints, premium internet access and a complimentary beverage). American Express states explicitly that this welcome bonus is not available to applicants who have or have had this product in the past. This is a pretty standard blanket policy, and is in line with what we heard about American Express no longer allowing multiple bonuses on the same card product as of May 1, 2014. However, you’re still eligible for the business version even if you have (or have previously had) the personal card, and vice versa.